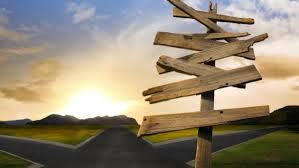 Sometimes we come to a crossroads in our lives where we have to make a choice and/or change direction. For the last little while, those of you who follow my blog might have noticed a sharp decrease in the number of posts and overall level of activity. There are a lot of reasons for this, but the foremost reason is that I have been steadily coming to that Crossroad in my life personally as well as creatively. I am a writer, and I am a Christian. The latter isn’t something I broadcast with a bullhorn, as I’ve always felt more comfortable just living and doing my best to show who I am by actions rather than words. Words not backed by actions are empty anyway; I guess I figure why waste precious breath? I’ve been online for years, participating in various groups and interacting with numerous people, and one thing has struck me: there are a lot of Christians Creatives like me (artists, writers, actors, musicians) floating around cyberspace. I can really only speak to the writing world since I know it best, but I’m thrilled to see the variety and innovation of what these Creatives have produced. I was never a fan of the ‘western’ Christian romance novels that were all the rage (and standard) throughout my teen years, for example, and I craved the imagination-stirring visions offered in my favorite secular science fiction and fantasy novels. Over time, quality offerings in these genres became more common in Christian bookstores (yes!). However, when compared to Bibles and devotionals, fiction, and more specifically, speculative fiction, remain but a small portion of what is consumed in the marketplace. I want to do my part to change this. I know how hard I’ve worked over the last few years to learn my trade and to improve my craft, and I know I’m not the only one who wishes to make more of an impact with my creations. Also, despite all the contacts and connections I’ve made, I’ve never really found ‘my place’–I often feel caught between the secular and Christian worlds. I figure I can’t be the only one. So, I’ve been turning over a bunch of ideas of how to better support Christian Creatives (and not just authors) and I have some thoughts, including the start of a new blog and other services for that purpose. But I’d also like to hear from other Christian Creatives out there: What do you think would be helpful in order to improve exposure, support, community building, etc? Thanks for reading! If you have comments, drop me a line below. Have a great week! What a great idea, Dyane! Yes, this is a reblog of something I reblogged before, because it’s a great idea and I think Christian creatives ought to pay attention.